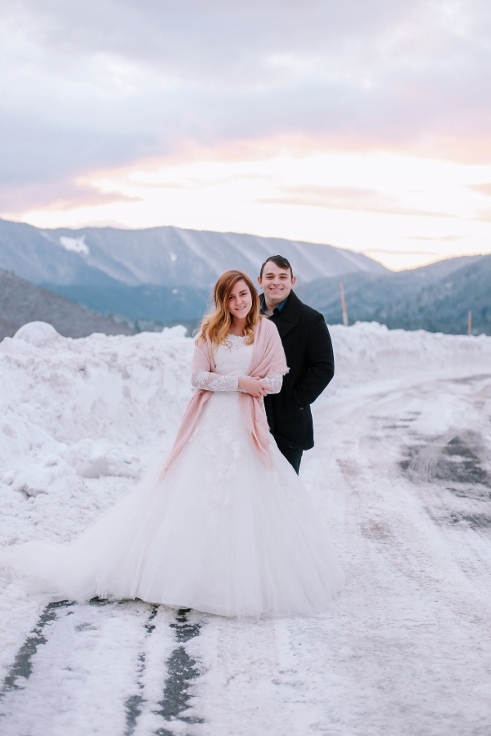 Spotted Stills Photography once again blew me away with this stunning winter session at Mt Hood, OR. This has been a very snowy season so far and those who brave the weather get rewarded with some gorgeous images. Who says Winter flowers have to be primarily red or white? Nope, incorporate some blush in with the winter foliage, pinecones and flocked branches and you have a perfect winter design.